Sing and pray the liturgy with liturgical songs for children from Carey Landry. 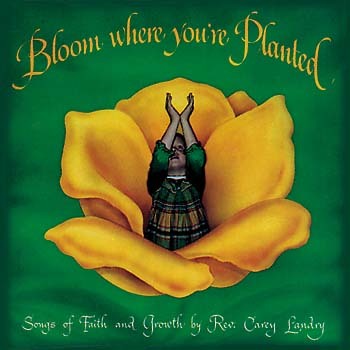 This keyboard accompaniment features organ, piano and vocal parts for the music album Bloom Where You're Planted by Carey Landry and Carol Jean Kinghorn. This 17-song CD from Carey Landry and Carol Jean Kinghorn features music for the liturgical year plus the entire ICEL text of Eucharistic Prayer 2 For Children. Each song is accompanied by Carey's performance notes and tips for suggested use. Many of the songs were written so that alternate verses can be easily substituted. Seventeen prayer-songs for the liturgical year plus the entire ICEL text of Eucharistic Prayer II for Children. Each song is accompanied by Carey’s helpful performance notes and suggested uses. Many of the songs were written so that alternate verses can be easily substituted.